The British love to find humor in playing with the line between social norms and absurdity. 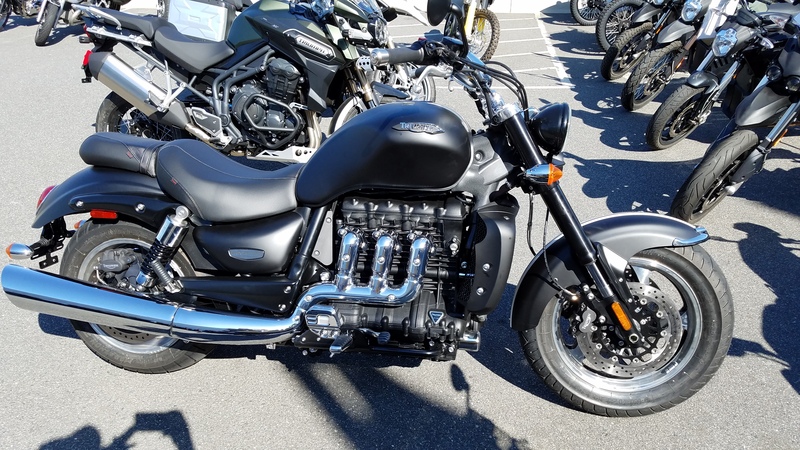 The Triumph Rocket III Roadster is very British in this regard. This bike is huge. This bike is heavy. This bike has a crazy 2.3L triple coffee can sized engine. This bike is a Hawker Typhoon on two wheels. Everything else on the bike is also huge. The extra wide bars, the extra wide levers… It’s just an awesomely large bike. 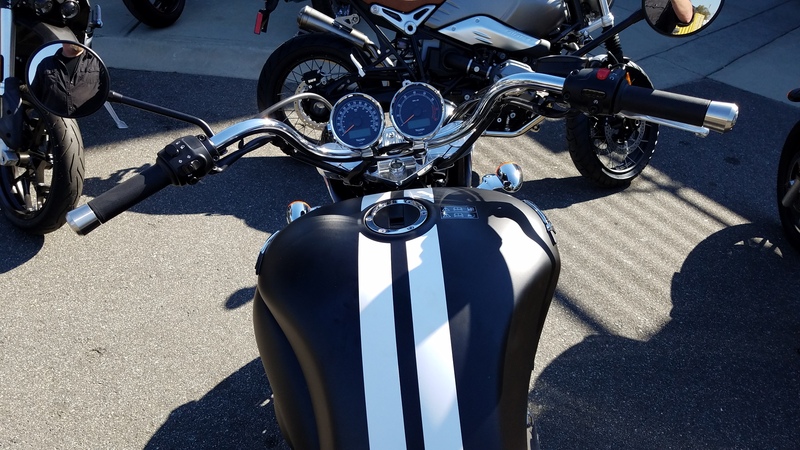 At the same time… The bike is dang good looking. It’s not out of proportion in any part. It’s that tall dark and handsome thing. Muscular, not fat. Rugged, not girly. It has a good sound too. It’s a mellow, low rumble and not that loud burbling of certain American twins. Because this bike doesn’t need to be overly and artificially loud. It has nothing to prove to anyone. It’s a fact that it’s the biggest production motorcycle engine in the world. Riding this thing for the first time, a certain specific song popped into my head. Sitting on the bike, I felt just like what that song is like. The upside, is that this thing was super smooth and strong in the brake department. The bike is very stable. But that engine… MAN! This engine is right out of a Hot Rod. It feels like a hot rod, it shifts like a hot rod… and when you get on the gas… it’s a total hot rod. And that’s the whole point of the Rocket III. It is a two wheeled Hot Rod and it makes no apologies for that. A lot of guys look at the Rocket III, grin at it, and wish. Because it’s just awesome… Some shake their heads. It’s not for everyone. Hot Rods are not for everyone. The Rocket is not for the timid. 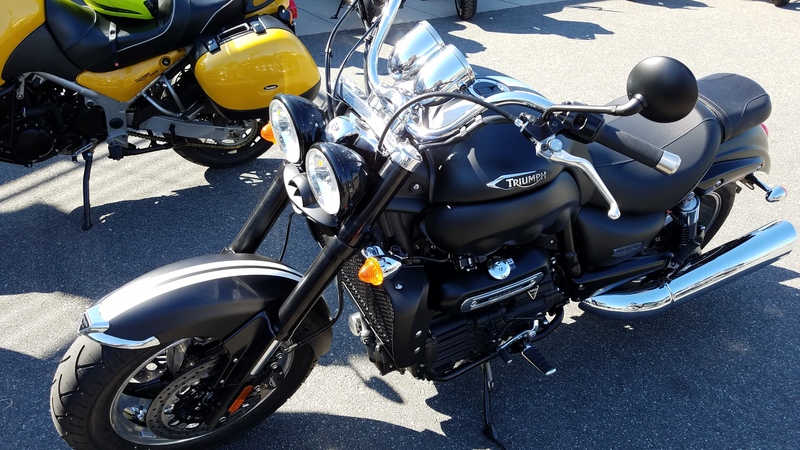 It’s a ride apart… And that’s what makes this bike so great. Could I own a Rocket III? Yes. Yes I could. It couldn’t be my One and Only bike… but yeah, I could have a Rocket. See, I’m glad that we have gonzo bikes like this, just because they are excessive to the point they border on being absurd. This is why we have Dodge Power Wagon trucks, and Animal Style Burgers at In and Out, and music by AC/DC. Because we can. And I respect that.